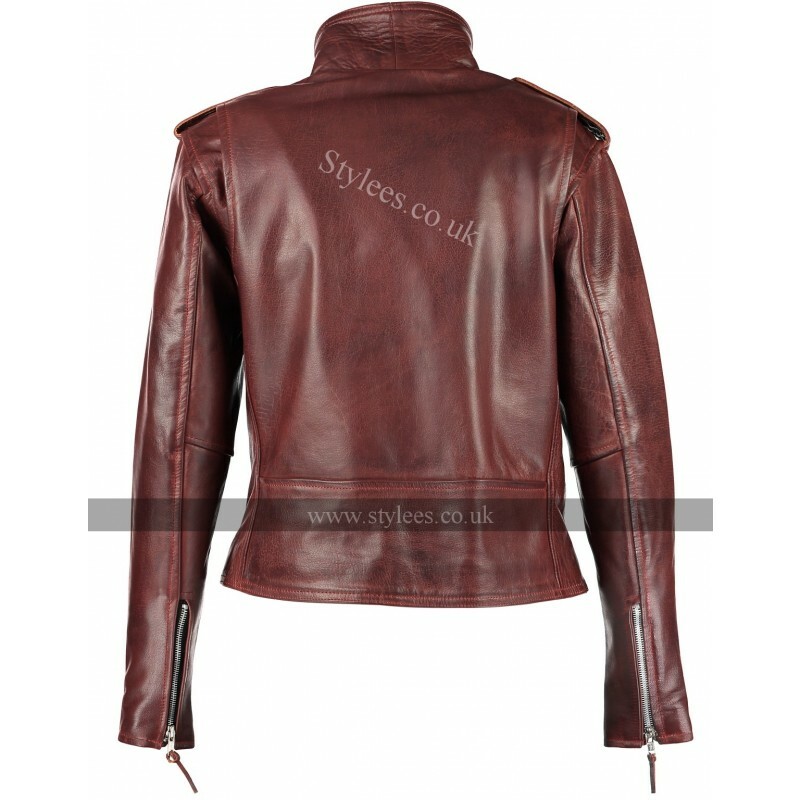 Introducing our ladies range in the classic brando style, made from 100% thick cowhide leather. 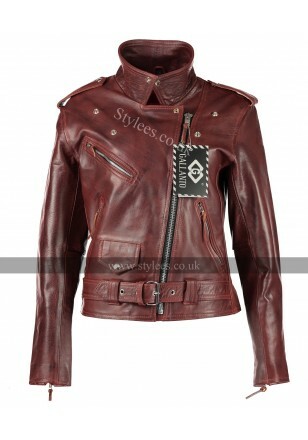 This is the perfect biker or fashion leather jacket. 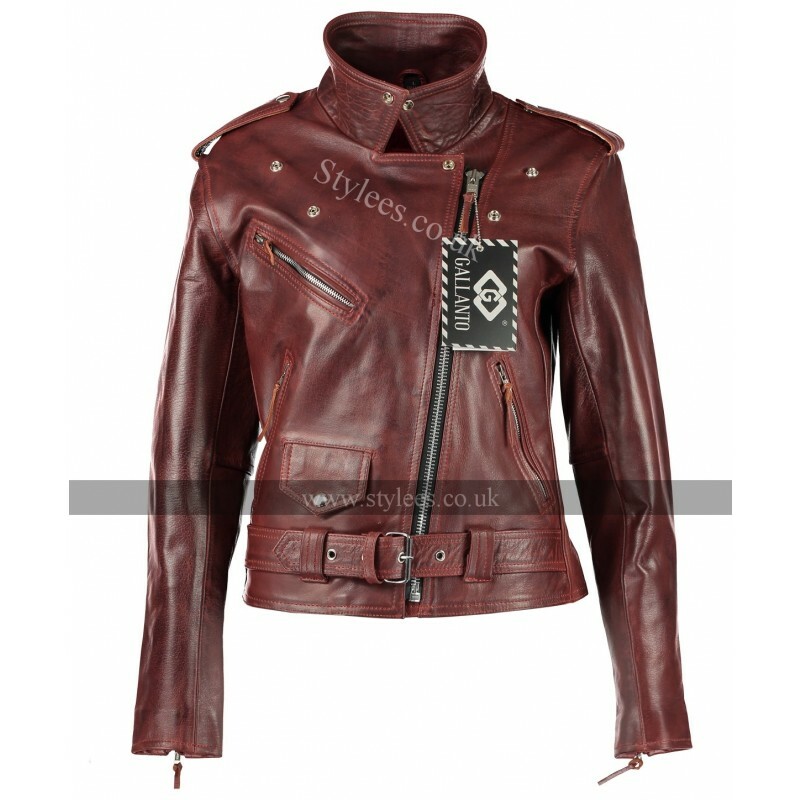 Full bright red polyester lining which stands out well with the vintage red. The lining is attached and comes with velcro pockets to place armours in the shoulders, back and elbows. The pockets add to the biker style with the solver YKK zippers and metal studs. The collar can be fastened down with the snap buttons and worn in different ways. With 3 external pockets and inside pockets for valuable items. There is also a half waist belt which can be adjusted to a tighter fit.